Beautifully crafted and inspired by Victorian and Edwardian designs, the Bayswater Slider Rail Kit with White Ceramic Handset perfectly complements Bayswater's shower valves. 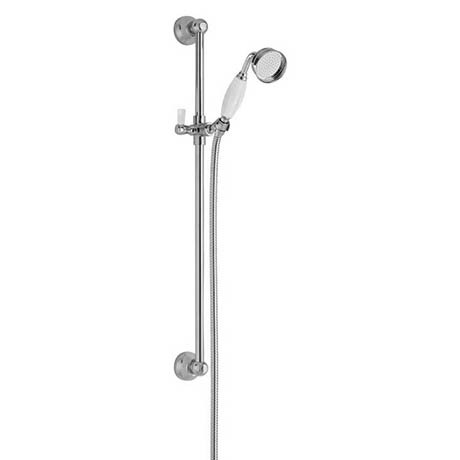 It features an adjustable handset holder and white ceramic shower handset with hose. Made from high grade brass with a durable chrome finish.